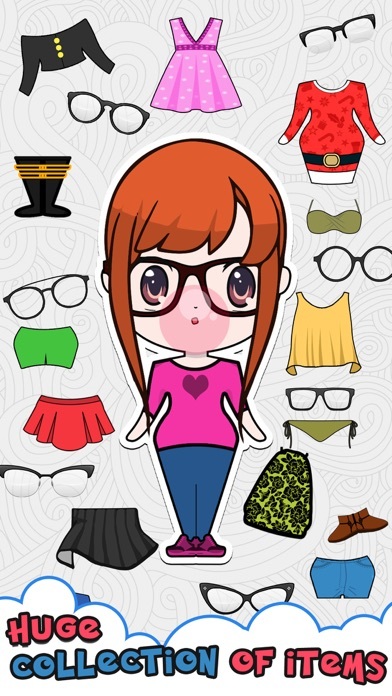 Make your own Avatar from beautiful Kawaii Fashion Shop. Make your own character of cute girls & be an Anime Creator of loveable, adorable & cute kawaii anime. Create your own characters of cute girl & awesome boys. You know what's cute in Japanese; You know what's loveable in Japanese; Do you know what's Adorable in Japanese? The answer is one word KAWAII. 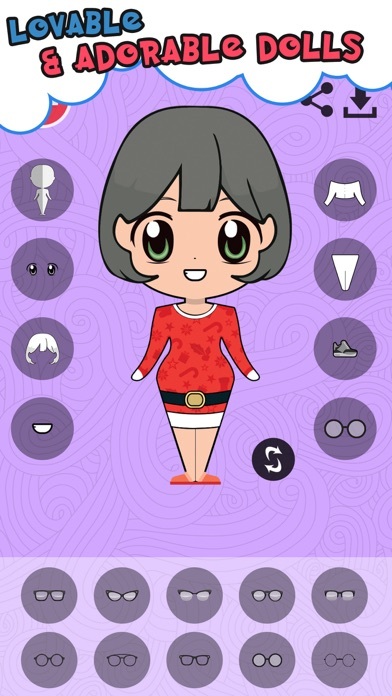 Bring your imagination into life and create amazing Kawaii characters with various items of kawaii fashion. Stunning and gorgeous anime girl creation at your finger tips. 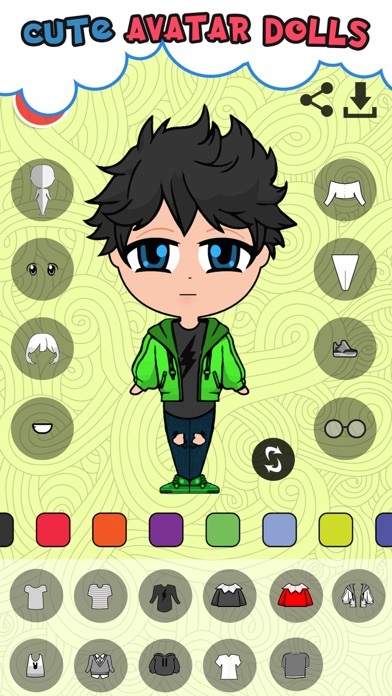 > Create your own avatar. > Kawaii dresses, kawaii accessories & beautiful background scenes for cute anime girl. > Kawaii store with huge collection of outfits and other items. > Anime avatar maker. Cute character creator as kawaii is all about cuteness. > Create cute anime girl. Customise Skin color, hair, face, top, bottom etc. > Various face expressions, nose, glasses, eyes for your dream kawaii anime. > Save to gallery; Set as wallpaper; share with friends. With our huge collection of items ranging over 150, Make and design your dream Kawaii anime girl. With more items coming on regular basis. You are on a verge of creating anime girls that are charming, vulnerable, shy and childlike. 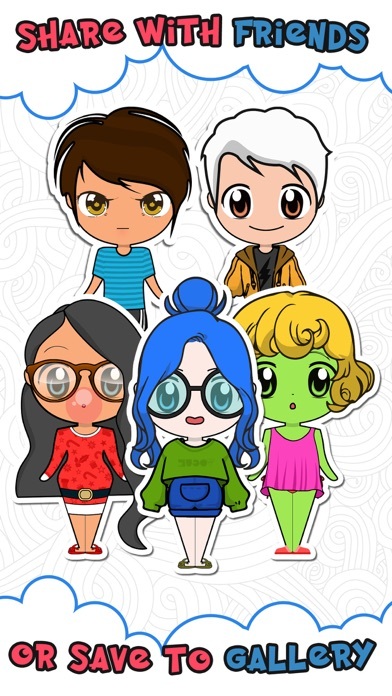 So, let's not wait and start creating coolest & cutest avatars. Choose from a large variety of items to mix and match & customize your character. * Item unlock bug fixed. The Developer Nadeem Munawar also wrote the apps listed below, click the icon to visit the pages. If you are fan of Pokémon and you are looking for ways to catch Pokémons Pokedex is the Application you must have it. Pokedex contains all the important details of a Pokémon including Moves, Abilities, Item, Type, EggGroup and much more. No charge for searching any more. Support Pokemon X/Y, Black 2/White 2, Black/White, HeartGold/SoulSilver, Platinum, Diamond/Pearl, Emerald/FireRed, LeafGreen, Sapphire/Ruby. Pokedex gives you easy access to the info of Pokémons, like its type, height, weight, and evolutions, and go from there to explore a rich trove of Pokémon details. You can find your Pokémon's stats, its moves. > Each and every bit of information of every Pokemon. > Add to favourite each Pokémon. > Add the Pokémons you have catched to the checklist to keep track of those. Cross Road Froggy is about a hungry frog who is after his cricket meal which is on the other side of the street! Help Frogger cross the roads and lakes, and make sure he survives it in one piece! Its not that simple, Get ready for exciting fun challenge. With the large cars and busses all over it won't be easy, I'm telling you!! Enjoy classic leap frog Curvy Road Race. Cross Road Frog Game is all about a hungry frog who is after his cricket meal which is on the other side of the street! Help Frog cross the highway's and make sure leap frog survives it in one piece! Its not that simple, Get ready for exciting fun challenge. With the large cars and busses all over it won't be easy. Get ready for adventure. I'm telling you! !